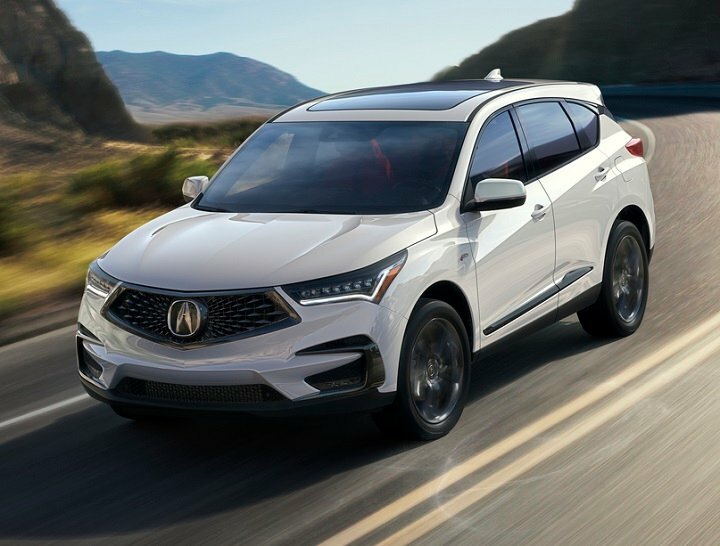 Witness Acura’s rebirth: the 2019 RDX 5-passenger compact premium SUV. While the NSX sports car might serve as Acura’s halo vehicle, models like the RDX pay the bills and keep the lights on. This year, the RDX is completely redesigned and re-engineered to Acura’s Precision Crafted Performance ethos. It reflects new styling, new interior, and new performance characteristics that will proliferate throughout Acura’s lineup. It even sits on a brand new vehicle platform, one that isn’t shared with any other Acura or Honda vehicle (yet). 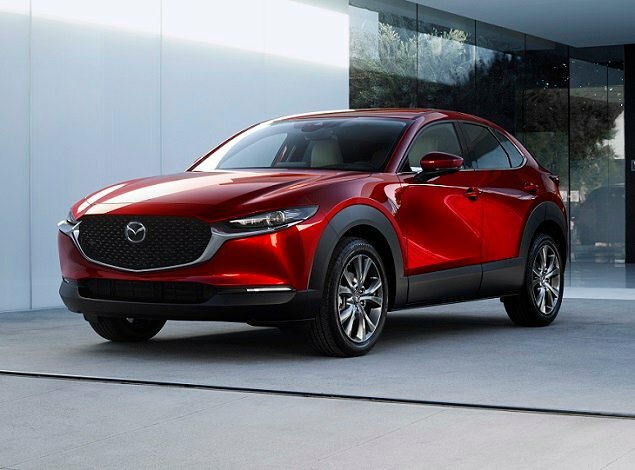 Buyers can choose between standard, Technology, A-Spec, and Advance trim packages, and the company’s torque vectoring Super Handling All-Wheel Drive (SH-AWD) system is an option. Prices range from $38,295 (including the $995 destination charge) to $48,395 with all of the extras. For this review, J.D. Power evaluated an Acura RDX equipped with Super Handling All-Wheel Drive (SH-AWD), the A-Spec Package, and special Apex Blue Pearl paint. The price came to $46,895, including the $995 destination charge. Before we discuss the results of our evaluation of the Acura RDX, it is helpful to understand who bought the previous version of this Compact Premium SUV, and what they liked most and least about their RDXs. More than half of RDX owners are men, at 56%, and their median age is 60. These figures align with the overall segment. Where RDX owners diverge from the average is in terms of median annual household income. The Acura owners report $139,583, while owners in the segment earn $167,283. More than a third of RDX owners claim to be Performance Buyers (36%), while just 9% identify as Price Buyers. At the segment level, 45% of Compact Premium SUV owners report Performance Buyer as their primary demographic, while 10% are Price Buyers. Acura sees more ‘Hometown Retired’ people than the segment (28% vs. 13%). Perhaps due to the preponderance of retired people in the RDX’s camp, the SUV’s owners are more likely to avoid vehicles they think have high maintenance costs (94% vs. 80% at the segment level) and are more likely to prioritize fuel economy (54% vs. 44%). At the same time, RDX owners are less willing to pay more for an environmentally friendly vehicle (52% vs. 58% at the segment level) and less willing to pay more to ensure their vehicle has the latest safety features (83% vs. 89%). Acura RDX owners are less likely to agree that they prefer a vehicle that stands out from the crowd (74% vs. 83% at the segment level.) Simultaneously, RDX owners are more likely to agree that a vehicle is just a way of getting from place to place (31% vs. 26%). Owners report that their favorite things about the previous RDX were (in descending order) the driving dynamics, engine/transmission (in a tie with seats), seats (in a tie with engine/transmission), exterior styling, and visibility and safety. Owners indicate that their least favorite things about the previous RDX were (in descending order) the interior design, storage and space, climate control system, infotainment system, and fuel economy. In the sections that follow, our expert provides his own perceptions about how the Acura RDX measures up in each of the 10 categories that comprise the 2018 APEAL Study. The end result is appealing and balanced, thanks in part to relatively short front and comparatively long rear overhangs. Creases, swells, and arcs add visual interest to the RDX’s flanks, stopping just short of visual clutter. The A-Spec Package replaces the chrome with blacked out trim, and installs a handsome set of Shark Gray 20-inch aluminum wheels. While it’s true that you cannot please all of the people all of the time, styling should not be a reason people cross the RDX off of their shopping lists. Combining preferred wheel designs, paint color choices, and leather colors is another matter entirely. No blue paint with tan leather, Acura? Owners of the previous RDX ranked interior design as average. My bet is that once they’ve figured out how to use Acura’s new True Touchpad Interface (TTI) infotainment system, they’ll like this new RDX’s cabin more. Quality materials and a sporty, unusual layout make the RDX’s cabin special. In particular, the center dashboard design, topped by a new 10.2-inch widescreen infotainment display, dramatically sweeps down to the center storage console, punctuated in the middle by a huge Integrated Dynamics System knob that emphasizes the RDX’s sporting intentions. Buttons control the transmission, with Reverse gear actuated using a recessed switch. Because this design takes up just as much space as a traditional lever, you might wonder what the point is. Take a look underneath the bridge on which the transmission buttons reside, and you’ll get your answer in the form of a large storage tray that wouldn’t be possible without electronic transmission controls. I did not like the A-Spec Package’s instrumentation – red numbers on silver backgrounds – because I found them difficult to read both during the day and at night. Other RDX models have proper white numbers on black backgrounds, providing the necessary contrast for quick reference. Additionally, my RDX A-Spec test vehicle’s red leather interior was a little much. You’d really better like red if you choose this color. Previous RDX owners really liked the seats in their SUVs, and the high ranking for this attribute should continue. Acura does a great job with front seat comfort, and the new RDX is no exception. In addition to supportive and soothing front seats, soft-touch surfaces abound, even for your legs when they brace against the center console and door panels. The center armrest is wide and slides forward and back for improved comfort, too, and both the A-Spec and Advance Packages equip the SUV with automatic seat heating and ventilation. Though leg and foot room are plentiful, the rear seat is not as satisfying. Air conditioning vents and quick-charge USB ports are present, but the bottom seat cushion is low and flat, negatively impacting thigh support. The backrest is reclined too much, too. The result, for me anyway, was a slouched position that would get uncomfortable in a hurry. Seasonable temperatures in the mid-80s, combined with waning summer sun angle, put the RDX’s available GPS-linked climate control system to the test. Up front, the dual-zone system kept my wife and I comfortable, along with the aforementioned ventilated front seats. My two kids, however, complained about weak airflow from the rear-seat air conditioning vents. They are, however, somewhat spoiled by our own SUV’s triple-zone climate system that gives them full control over the rear-seat temperature. Notably, Acura keeps the climate system separate from the TTI. The controls are located at the center top of the dashboard, and this makes it easy to adjust temperature, fan speed, defrosters, and seat heating and ventilation. Touchpad infotainment system controls are, typically, fraught with trouble in terms of sensitivity, accuracy, and driver distraction. Acura, however, believes it has a solution in its new True Touchpad Interface. Located on the center console below the transmission controls, the TTI pad directly corresponds to screen position. Push on the lower right corner of the pad, and you’ll select the action on the lower right corner of the 10.2-inch infotainment system display. It took me a while to acclimate to this system, and even after a week and nearly 500 miles of driving I still didn’t get it right every single time. But, I will say that Acura’s approach is superior to similar technology in Lexus models. Furthermore, Acura provides a power/volume knob and tuning buttons to help minimize TTI use, as well as steering wheel controls and effective natural voice recognition technology as alternative ways to interact with the technology. The greatest source of aggravation with the TTI related to the navigation map. You can’t zoom out and keep it zoomed out in order to review traffic conditions several miles ahead. Instead, you need to select ‘Explore’ and zoom the map out as a snapshot in time. Eventually, you drive right off the screen and then need to re-zoom again. Fortunately, the 16-speaker Acura/ELS Studio 3-D sound system helped to reduce my irritation with this oversight. It is included with A-Spec and Advance trim packages, and it’s terrific. Unless you require a large center console bin, you should be happy with the new RDX’s interior storage solutions. From the tray under the bridge housing the transmission controls to the big USB-equipped bin next to the cupholders, Acura provides enough nooks and crannies to accommodate the detritus of the daily drive. Cargo space measures 29.5 cubic feet behind the rear seat and 58.9 cubic feet with the rear seat folded down. When they’re dropped, the seat backs create a nearly flat load floor, one benefit of the low and unsupportive rear seat cushion. Acura provides two different sets of cargo measurements for the RDX. I’m reporting the smaller numbers because the larger numbers include use of the rear passenger floor space measured with the front seats moved all of the way forward. Nobody packs an SUV like that. To the left side of the cargo floor, a large bin is perfect for carrying bottles. Under the cargo floor, huge storage compartments accommodate everything from a laptop computer to sizable objects that you’d prefer to keep out of sight. Thanks to large side mirrors, a multi-angle reversing camera, a blind-spot monitoring system, and a rear cross-traffic alert system, I had no complaints about visibility. However, I suspect that reversing from slanted parking spaces could be difficult due to the RDX’s large rear head restraints and kinked rear quarter window glass. Safety is a 2019 Acura RDX hallmark. This SUV earns a “Top Safety Pick+” rating from the Insurance Institute for Highway Safety (IIHS). More important, it gets a “Good” or a “Good+” rating in every IIHS assessment. A standard AcuraWatch suite of driving assistance and collision avoidance systems works with greater accuracy and refinement than in previous Acura models I’ve tested. It remains a little uncertain and confused in situations where lanes are narrow and bends exist, such as on the Hollywood Freeway going over the Cahuenga Pass, but overall the systems produce fewer false alerts and less skittish behavior. Blind spot monitoring with rear cross-traffic alert still isn’t offered on the base RDX. You need to upgrade with a Technology Package at a minimum. The Advance Package adds an exclusive 360-degree surround-view camera system and a head-up display. According to RDX owners, the SUV’s driving dynamics and powertrain rank higher than other aspects of the vehicle (seats tied with engine/transmission). So what does Acura do? 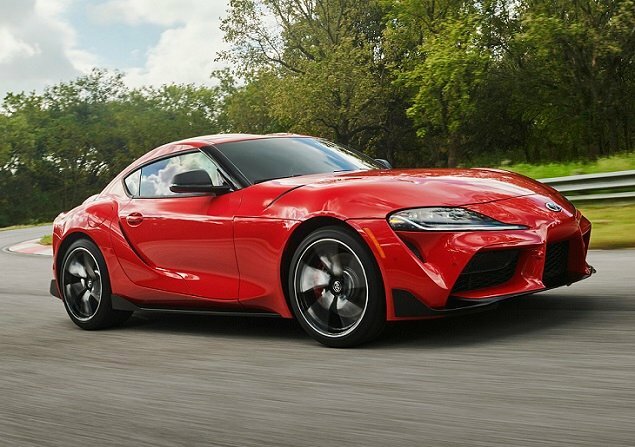 It gets rid of the V6 and basic part-time all-wheel-drive system in favor of a turbocharged 2.0-liter 4-cylinder and a torque-vectoring Super Handling All-Wheel Drive (SH-AWD) system. This move takes the RDX back to its turbocharged, SH-AWD roots, and dramatically amps up the SUV’s fun factor. With 272 horsepower at 6,500 rpm and 280 lb.-ft. of torque between 1,600 rpm and 4,500 rpm, this new engine supplies robust power and forceful acceleration accompanied by a pleasantly guttural exhaust note. A new 10-speed automatic transmission is charged with funneling the power to the front wheels. The RDX’s optional SH-AWD system can ship up to 70% of the power to the rear wheels as is necessary, and once it has arrived can further be directed to a single rear wheel depending on requirements. The transmission has Normal and Sport programs. 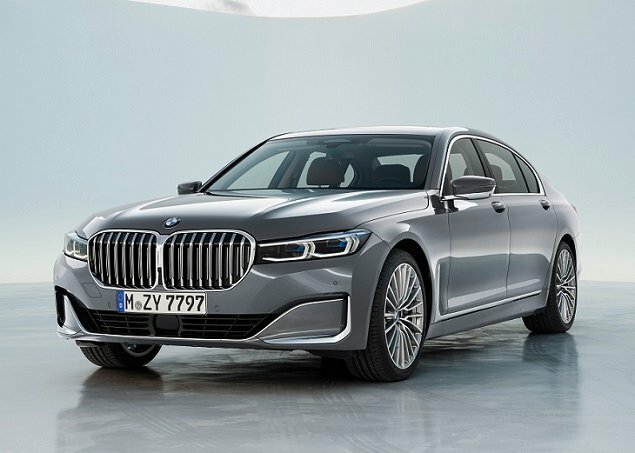 Additionally, using the big silver dial on the dashboard, the driver can select from four Integrated Dynamics System (IDS) driving modes: Snow, Comfort, Sport, and Sport+. Each has a predictable impact on drivetrain responsiveness and steering effort levels. You won’t notice the plethora of forward gears, unless you use the paddle shifters. Then, you’ll be paddling quite a bit while losing track of what gear you’re in. Downshift rev matching is absent, making it even less satisfying to shift your own gears, but upshifts are sharp and decisive. Ultimately, my favorite IDS setting was Sport, with the transmission in Sport mode, which eliminated a momentary but irritating delay in throttle response after rounding a corner, turn, or curve. However, this also has a deleterious effect on fuel economy, in spite of the RDX’s standard automatic engine stop/start system. The EPA says that the RDX SH-AWD should get 23 mpg in combined driving. On my mountainous testing loop, the SUV averaged 19.8 mpg. Except for sampling the various drivetrain calibrations, and using Sport and Sport+ modes on the approximately 12-mile twisty canyon road section, I kept the RDX in the Comfort IDS setting and the transmission in Normal mode. Also, it is worth noting that Acura recommends more expensive premium fuel for the new RDX. But with a large 17.1 gallon fuel tank, and based on my average, you’ll be able to drive 338 miles between stops at the gas station. Run the RDX hard on a favorite road you know well, and you’ll feel the effects of the SH-AWD system as it slings the SUV out of corners and down the next straightaway. This, combined with the RDX’s standard brake-induced Agile Handling Assist system, makes it far more enjoyable to drive than the previous version. These features work just as well when rounding freeway ramps, or taking suburban corners. And when you get SH-AWD, the RDX’s weight distribution improves to 57:43 front-to-rear compared to 59:41 for the front-driver. Unfortunately, the A-Spec test vehicle’s standard-issue Goodyear Eagle RSA all-season performance tires were not up to the RDX’s handling capabilities. Sized P255/40R20 and mounted to appealing Shark Gray A-Spec wheels, they howled early and squished prematurely. This SUV could use a summer tire option. Steering proved quick and accurate, with natural effort levels except in Sport+ mode, where it felt too heavy. The brakes withstood repeated hard stops, rumbling as they warmed up yet still executing a full-ABS panic stop in a short distance. Brake pedal response, however, could be tightened up. Too much pedal travel spans the distance between engagement and initial braking response. On the highway, there is more road noise inside the RDX A-Spec than a luxury SUV buyer might expect, so stick with one of the other trim packages for their 19-inch wheels and 235/50 tires. Acura has done a great job with the 2019 RDX redesign. It looks terrific, its fun to drive, quality levels impress, comfort levels are high, and exceptional safety ratings make it a perfect choice for smaller families. What could improve here? Rear seat support, fuel economy, navigation map zooming, and less restrictive exterior and interior color combinations. The A-Spec deserves a summer tire option, and the A-Spec’s gauges need a re-think. Even without these improvements, Acura should expect to see younger and more affluent buyers considering the new RDX for reasons other than an attractive lease payment.